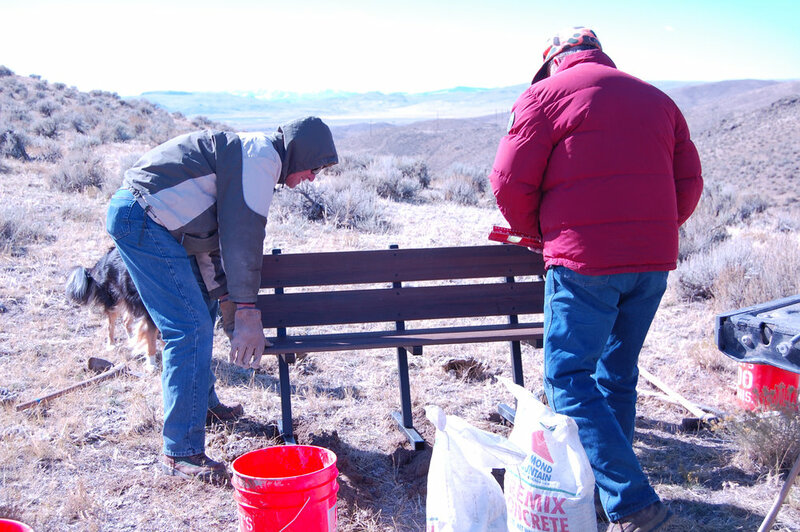 Beaverhead Trails Coalition New Benches!!!! 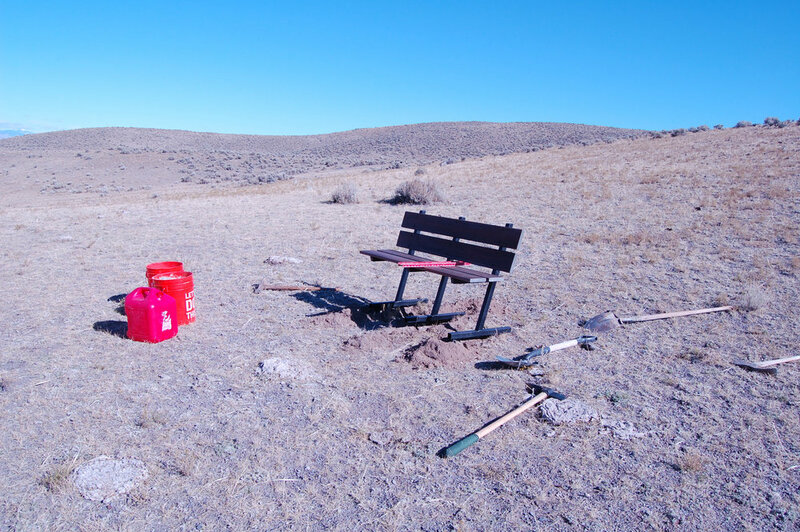 This past spring, our beloved bench was stolen from our high trails system, as well as a bench the BLM had installed on their section of land. 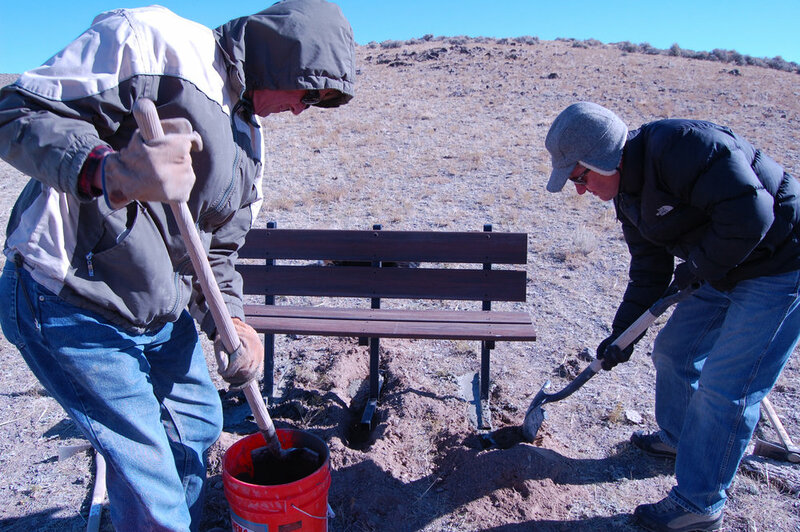 On October 14th, a group of BTC members and volunteers worked hard and installed not one but two new benches on the trail system. Come check out the new benches with great views! 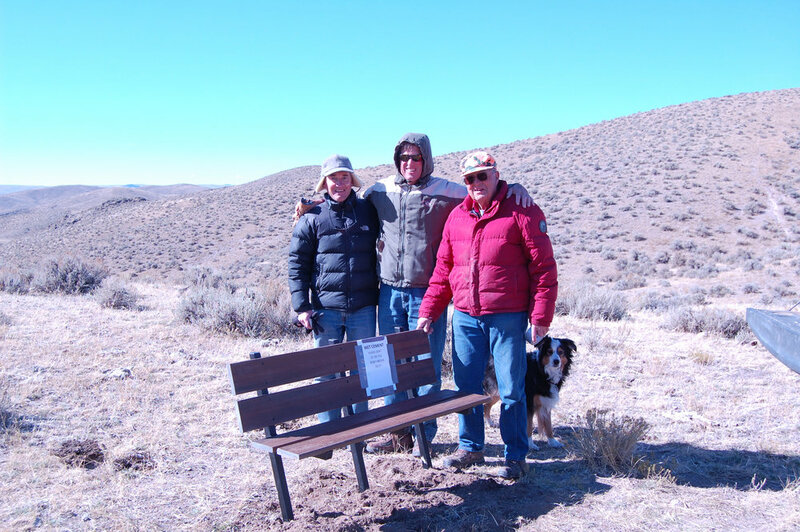 Thank you to the McNeill Family, for their memorial bench donation in honor of Bob and Chris McNeill, and to Bill and Roxi Mancoronal at General Welding and Repair for their donation of the second bench! See the map below for the locations of the new benches! 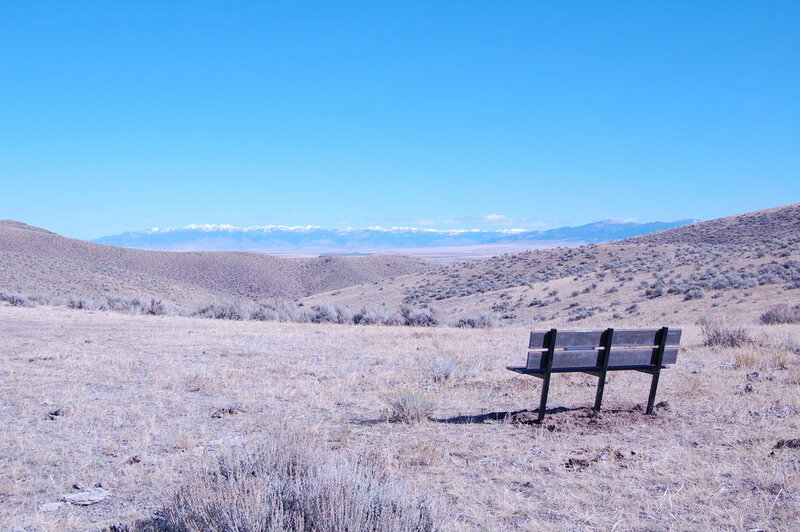 If you would like to donate a bench to the Dillon Town Overlook trail system, on your own, in honor of someone, or perhaps in memorium, please contact us! We would love to make that happen! Below are pictures of the new benches, the area they overlook, and the amazing volunteers who helped install them. Keep scrolling to see the map and where the benches are now located. Newer PostWonderful new trail work done! Older PostCome check out the new Cairns!